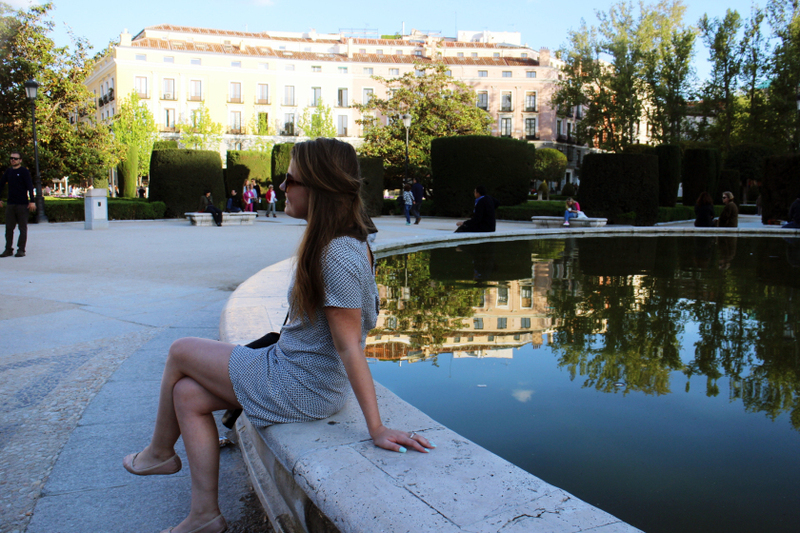 Let me first say that I am already in love with Madrid, having spent barely 24 hours here. 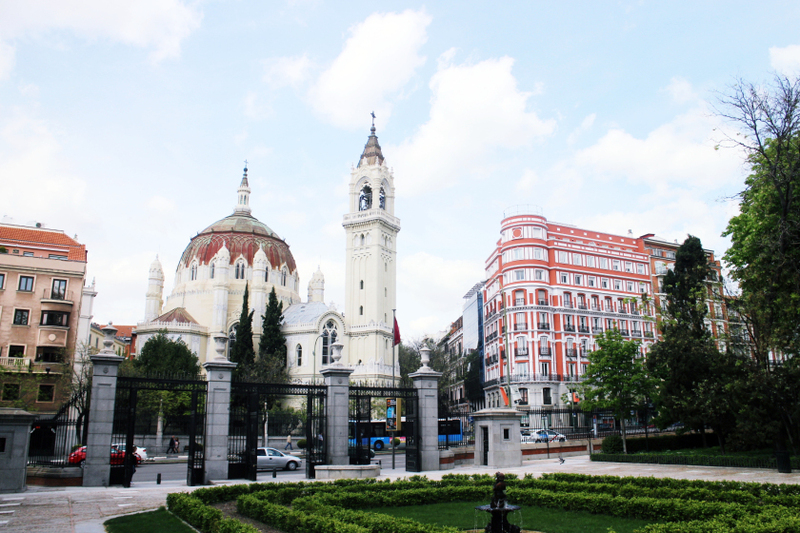 It is a city full of life, culture and beautiful buildings. The people seem happy to live here (why wouldn’t they?) and apart from one encounter with a wannabe pickpocket (he was unsuccessful I hasten to add!) I have felt thoroughly welcomed into this city. Brittany and I were visiting our beloved friend Annalisa who is studying here this semester, and her brother John who was paying her a visit. 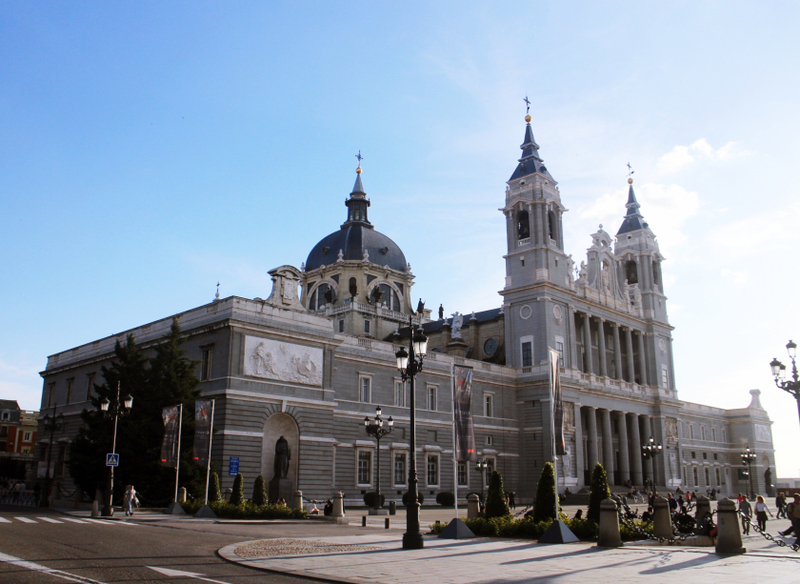 Annalisa gave us the grand tour of Madrid, taking us to the Cathedral, Palace, Market and through pretty Spanish streets. 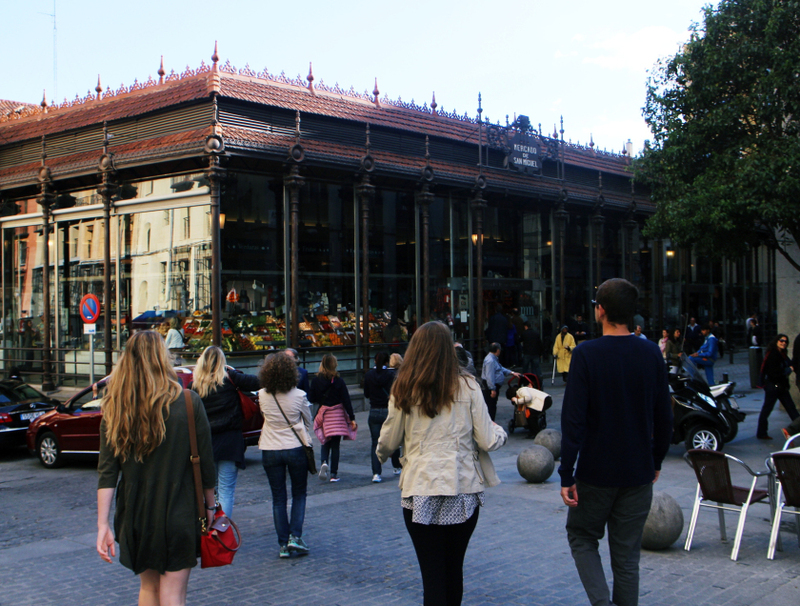 We wandered towards the market, taking in the sights, smells and sweet spring air. 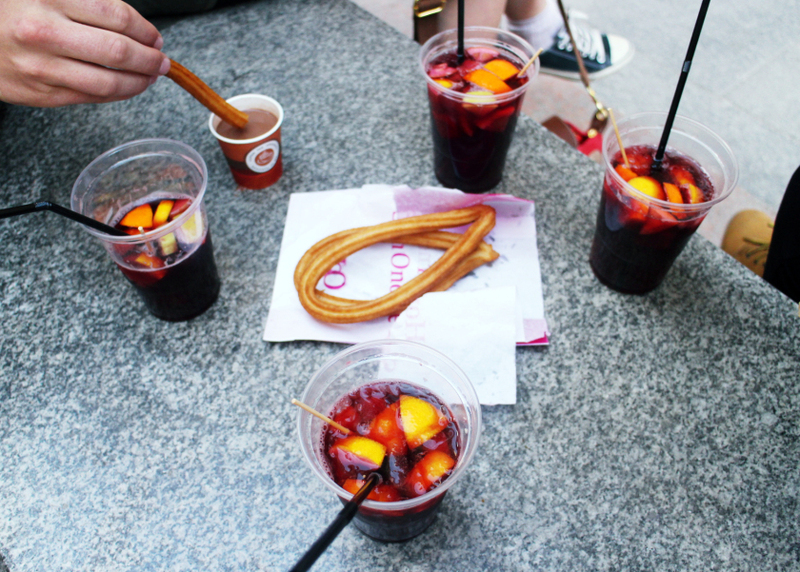 At the market we bought churros and sangria, nibbling on our quintessential Spanish snacks. They were as delicious as they look! As we sat admiring the streets I spied a gorgeous little restaurant. Wine and cheese: what more could a girl want? The cathedral was so beautiful, with grey stones that complimented the bright blue sky. I have such beautiful friends! After our sightseeing we wandered towards the city centre, stopping to admire the reflections of the buildings in the water. Madrid is full of treasures. 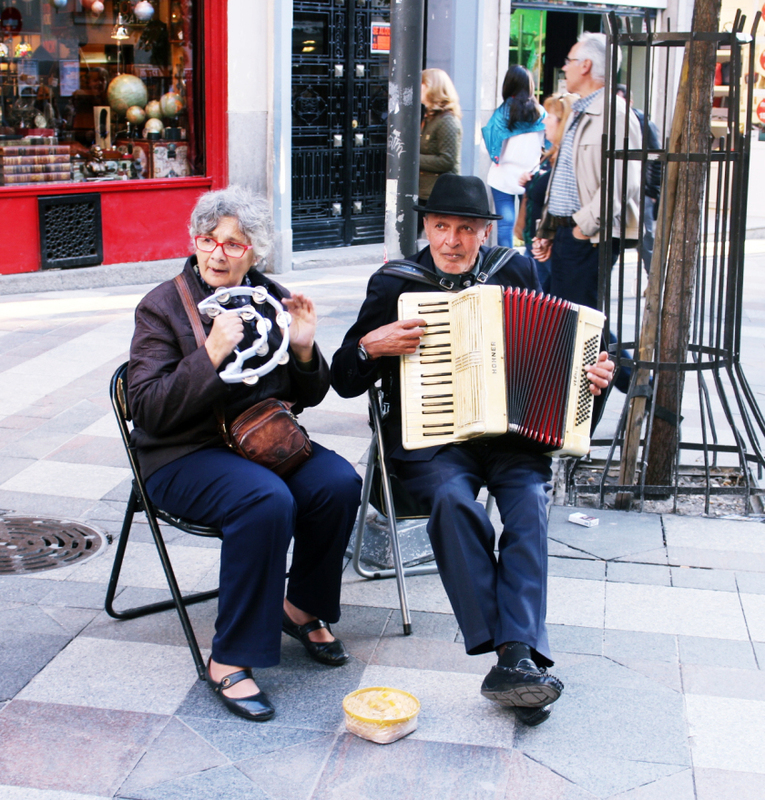 I particularly enjoyed this couple, playing music together on the street. 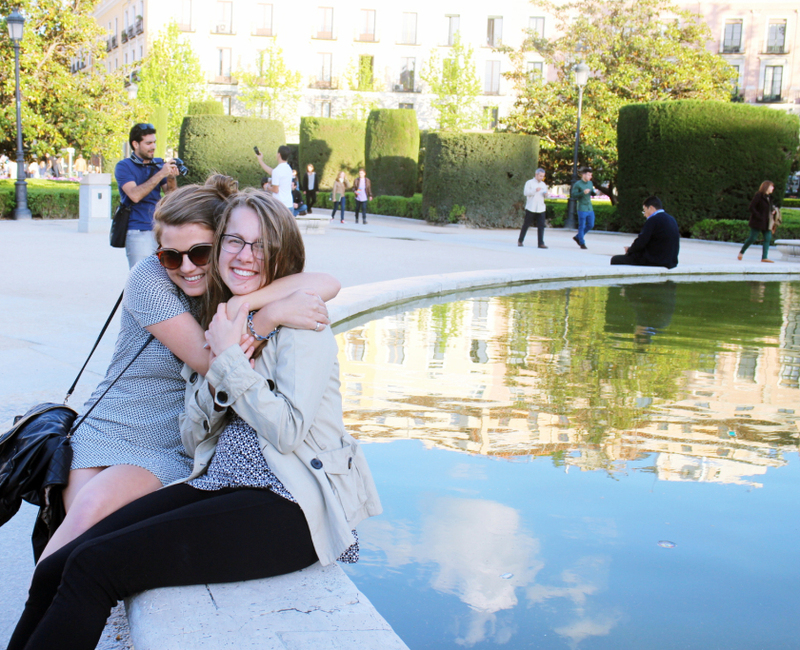 And my favourite thing about Madrid? This building is a library! We had dinner overlooking the ruins, and peeked inside to see beautifully strung lights lighting up the shadows inside the ruins. We ate a beautiful dinner, caught up with other friends and thoroughly enjoyed our short but sweet experience in the Spanish capital.